One of the things I never expected to happen when I began this blog in December 2012 was that I would hear from so many victims, perpetrators, and their families. I have corresponded with people whose family tree was forever altered by a crime from as long ago as the 1920s. The next day 29-year-old Florence Nancy Brown, stepmother to four children, was car jacked at a freeway off-ramp by Hurd, Hulse and a few of their co-horts. She was taken to a field and stabbed over 20 times. Her body was buried in a shallow grave near Ortega Highway. Hurd later revealed that he had returned to the make-shift burial site and mutilated Brown’s corpse by removing her heart which he then used in a Satanic ritual. Stephen Hurd died of a brain hemorrhage in prison in 2005. Arthur Hulse is currently incarcerated at Vacaville, but apparently not for much longer unless Governor Brown vetoes his release. Last year we conducted a successful letter writing campaign to Governor Brown to reverse the parole board’s decision that Arthur be released. This month at a parole hearing Arthur was once again granted release. He is due to be cut loose in August unless Governor Brown overrides the board’s decision like he did last year. During the last several months I have heard from members of Florence Brown’s family and they have expressed their desire to see Hulse remain in prison. 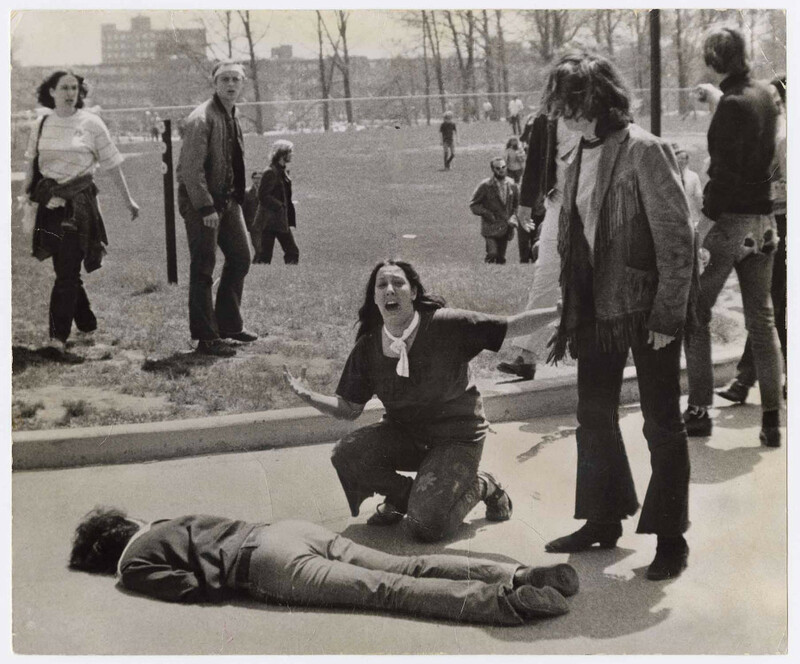 I have heard from one of her former grade school students who has never forgotten the events of 1970. Last year I received email from Jerry Wayne Carlin’s widow which, with her permission, I am reprinting below. I have withheld her current surname at her request. I hope that her letter will move you, as it did me, to contact Governor Brown and ask him to veto Hulse’s parole. Below is my letter to Governor Brown. Feel free to cut and paste it into your email to him. I am writing to urge you to veto the parole of Arthur Craig Hulse (#B33433) due to the heinous nature of his crimes. On June 2, 1970 he murdered 20-year-old gas station attendant Jerry Wayne Carlin with a hatchet and the next day he was an accessory to the car-jacking and brutal slaying of 29-year-old wife and mother Florence Nancy Brown. Mrs. Brown was stabbed at least 20 times and her body was mutilated postmortem. Earlier this month Hulse was granted parole and is scheduled for release in August, unless you override the parole board’s decision like you did last year. Several months ago I promised to provide an update, when I had one, on the results of a letter writing campaign asking California Governor Jerry Brown to overturn the upcoming parole of Arthur Craig Hulse for the 1970 murder of gas station attendant Jerry Wayne Carlin. Craig was also sentenced for his participation in the slaying of Florence Brown, a young wife and mother who had been car-jacked on her way to a PTA meeting. Below is the follow-up on the story. In 2013 I wrote a series of posts entitled “The Devil in Orange County” about one of the most notorious cases in the county’s history. 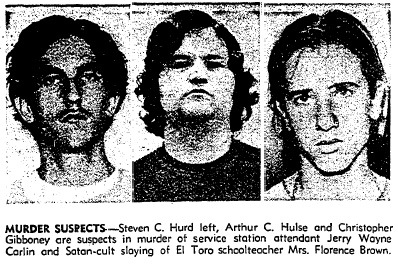 My brother and I knew one of the killers, Arthur Craig Hulse. Nicknamed “Moose” he had been a visitor to my family’s home on many occasions during the time that he and my brother were in junior high school together. Just days before Craig was busted, a good friend and I picked him up hitch-hiking. We had heard about the murders, they were headline news. On June 2, 1970 a gas station attendant, Jerry Wayne Carlin, had been beaten to death with a hatchet during a robbery that netted his killers $73, and the following day a school teacher, Florence Brown, had been stabbed multiple times. Her mutilated remains were discovered two weeks later in a shallow grave off of Ortega Highway. We had no idea that Craig was involved until we heard about his arrest. I suggest that you read the posts for details about the crimes which resulted in Craig, 16 at the time, being tried as an adult and sentenced to life in prison. When I followed-up on his case nearly two years ago I discovered that he was still incarcerated and had been denied parole for the 13th time in October 2012. He was not supposed to be eligible again for 5 years. Since I began this blog in December 2012, I’ve written about more than 300 historic crime cases, and I have been surprised at the number of emails that I’ve received from the family members of both victims and perpetrators. One of the most touching emails I have received was from Patricia Kramer, Jerry Wayne Carlin’s widow. Patricia wrote to me in October 2014 to inform me that Craig’s parole date had not only been moved up a few years, but that he had been granted release. Patricia lives out of state and wasn’t notified of the parole hearing in time to make arrangements to attend, so Craig’s request for release went unopposed. We organized a letter writing campaign to ask Governor Brown to overturn the parole because at his previous hearing, about a year before, the board had stated that Hulse still constituted an unreasonable danger to the public. What could have changed in such a short time? As a result of SB 260, Craig was able to request an earlier hearing–and it was at that time that his parole was granted. There are some very complicated issues surrounding appropriate sentencing and/or treatment of juveniles who commit serious crimes; and there are no easy answers. California is one of a small handful of states which grants authority to the governor to overturn a parole board’s decision. While in office Governor Brown has disagreed with the board in about 20% of the cases, so there were no assurances that Craig’s parole would be overturned. A couple of days ago I heard from Patricia. She told me that she had received word that Governor Brown had denied Craig’s release and that he would be eligible again in early 2015. Patricia said that she will continue to oppose Craig’s release for as long as she lives. At his arraignment, Steven Hurd entered a plea of innocent by reason of insanity. While being held without bail in Orange County Jail, Hurd complained about being kept in solitary confinement. He whined that he had no television and nothing to read. Claiming satanism as his religion he asked for three books on the subject, but Superior Judge Samuel Dreizen nixed the request — but he did allow Hurd to have two sci-fi books. client. Green contended that Hulse couldn’t possibly get a fair hearing if he was tried for murder with his co-defendants because of “highly prejudicial” newspaper publicity. 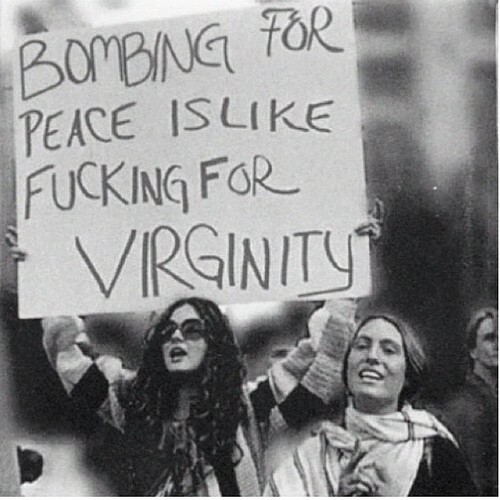 The judge agreed. stand trial as an adult. Christopher Gibboney unsuccessfully fought extradition from his home state of Oregon. stand trial as an adult for the murder of Florence Brown. brainer for him and he took it. Steven Hurd was found insane and unable to assist in his own defense. He was incarcerated at Atascadero until such time as he was deemed fit to stand trial. 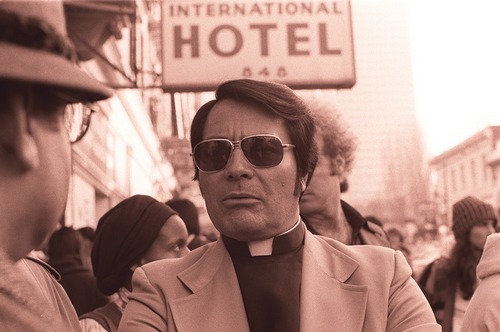 In December 1973 he was briefly found to be sane, but was re-confined in the state hospital by May 1974. One of the psychiatrists who examined Hurd declared him the most dangerous man he had ever seen. Finally in 1975, the California Supreme Court ruled that Steven Hurd could stand trial while under the influence of powerful tranquilizers. Hospital doctors had pronounced him sane, but said he could function properly only if tranquilized. A purported confession and other statements made by Hurd in 1970 were ruled admissible as evidence in his trial. charges of first degree murder in the 1970 slayings. A jury of six men and six women deliberated for two days before arriving at the verdict. He was sentenced to two consecutive life terms. devil” as he proceeded to relate details of the murder of Florence Brown. 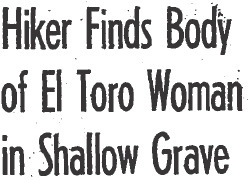 disinterred her body from the shallow grave along Ortega Highway. ashes and paper to make a “star of death” around the heart as part of a devil’s rite. According to Hurd when he was finished the devil told him he was “proud of him”. Hurd said “his father” told him he would die in 1977, but didn’t explain how or where. Of course the devil is a liar. Hurd would live beyond 1977 by 28 years. Maybe Hurd’s vision of hell was accurate–I’ve never talked to anyone who knows. . In May 1972, Gibboney pleaded guilty to second-degree murder for the slaying of Florence Brown. He may have been allowed to plead to a lesser charge because the witness against him, Herman Taylor, had gone missing. 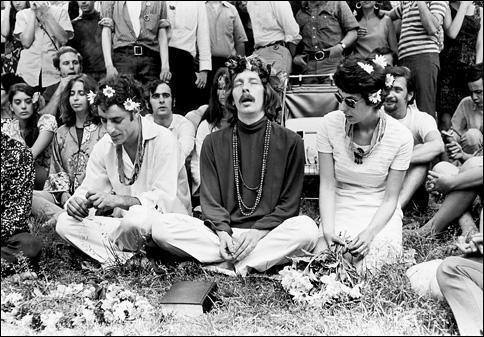 By October 1971, Taylor had spent 15 months in jail for being an accessory in the killing of Florence Brown and the hatchet slaying of Jerry Carlin. Judge Byron McMillan thought that was sufficient time and placed him on five years’ formal probation. He was ordered into custody of the California Youth Authority (CYA) because he was on parole at the time the murders were committed. He later vanished from the CYA faciltiy, even though he had agreed to be a state witness against Gibboney. ordered into the custody of the CYA to begin serving his time. I don’t know what happened to Gibboney after he was sentenced. Hulse was only 16 years old when the murder occurred. As previously stated, Herman Taylor turned state’s evidence after the district attorney promised to reduce his charges to two counts of accessory to murder. At Craig’s trial, Taylor testified that he drove his car the night of the murder of Jerry Carlin. Taylor said that he waited in the car while Hulse, who had a hatchet tucked into the waistband of his pants, and Hurd went into the station. According to Taylor, Craig told Hurd to shut up because “he didn’t feel too good”. Taylor also said that Craig got sick to his stomach and vomited once they’d returned to the motel. After the murder Hulse said that he “tried to stay loaded most of the time” on reds and alcohol. That was as close to demonstrating remorse as Craig ever got. only two reds — he mixed them with water and injected them. said, but he remembered that it made him angry and so he hit him with a hatchet. men found Arthur “Moose” Hulse guilty of first degree murder. 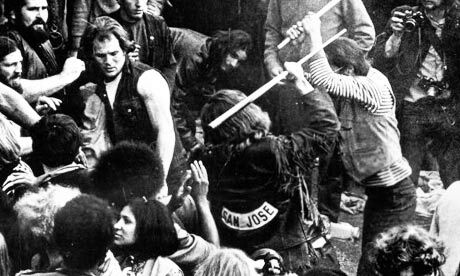 Craig’s mind may have been addled by drugs when he took a hatchet to Jerry Carlin, but he was found to have been legally sane at the time of the murder and sentenced to life in prison. He was also sentenced to five years in prison for being an accessory in the murder of Florence Brown. 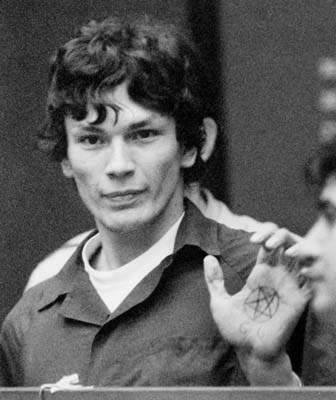 Craig began serving his time on March 31, 1971. In June 1973 a sanity hearing was ordered for Hulse when the District Court of Appeal overturned a finding by Superior Judge Ronald Crookshank. Judge Crookshank had ruled that Hulse was sane at the time of Jerry Carlin’s murder. 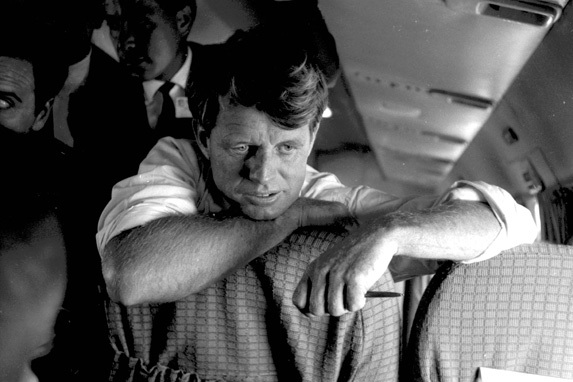 The sanity hearing didn’t change anything, Craig was again found to have been sane at the time of Carlin’s killing. When I began researching this case I had no idea what had happened to Craig Hulse. On the rare occasions when I thought about him I assumed that he had been paroled, but that’s not what has happened. 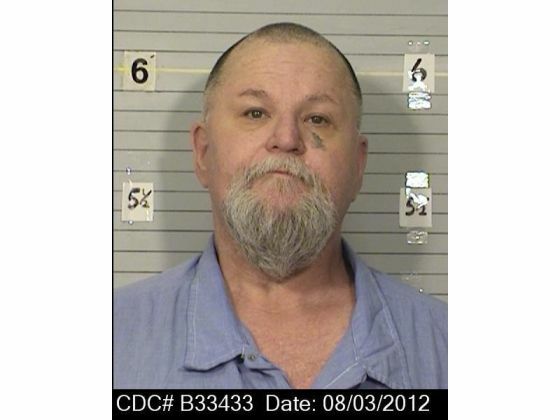 In October 2012 Craig was denied parole for the thirteenth time — he will be eligible again in five years. 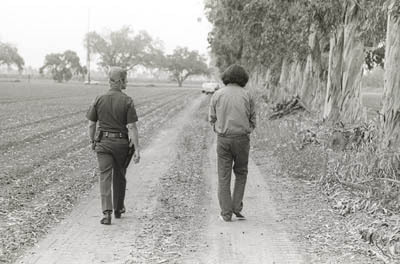 When I picked Craig up hitchhiking in 1970 he seemed sad and lost, but not evil. 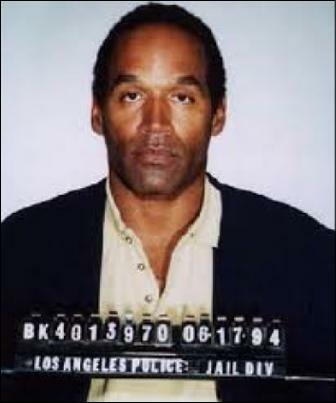 Days later when I learned that he’d been arrested in connection with two brutal murders I couldn’t believe it. When I told my brother Rick that I was going to write about Craig’s case he recalled an incident he hadn’t thought of in years. He said when they were about 12 years old Craig pulled his arm up behind his back until it was painful. Rick told him to cut it out, and then he noticed a scary expression on Craig’s face — he enjoyed inflicting pain. Their friendship didn’t last much past that. 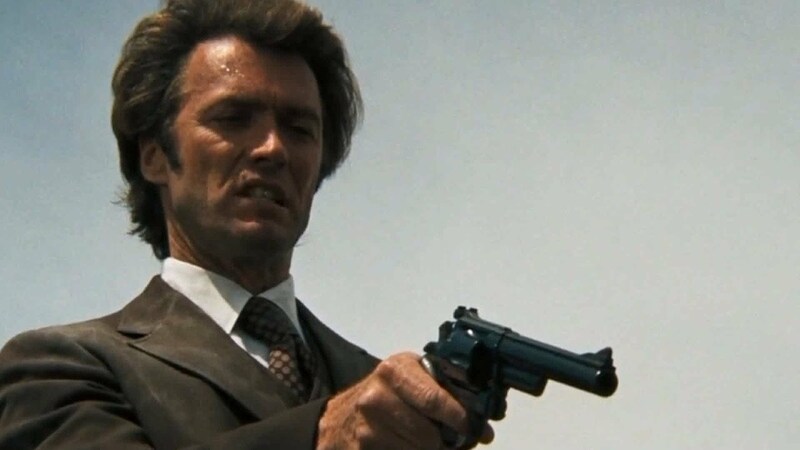 If he wasn’t already dead inside before June 2, 1970, the kid my family knew perished for all time as soon as he crushed Jerry Carlin’s skull with a hatchet. During the four decades that he’s been incarcerated Craig has, according to the Orange County D.A.’s Office, made no attempt to become a person who can live outside of prison walls. He will almost certainly die there. The families of his victims bear the toughest burden — the husband and children Florence Brown left behind will always have a void where she should have been all these years. Jerry Carlin died before his wife had the chance to tell him that he was going to become a father. It is those people whose loved ones were taken from them that have my empathy and compassion. Craig is where he belongs. 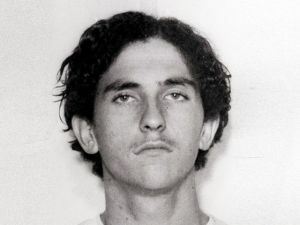 Craig Hulse was still on the loose when Timothy Montag, 21, was arrested in connection with the murders of Jerry Carlin and Florence Brown. It wouldn’t take cops long to determine that Montag had no involvement in the two murders, but while in custody he provided the authorities with some useful information. Timothy belonged to the same bunch of drifters and druggies that Craig hung out with. None of the group had a fixed address, they wandered around Orange County crashing wherever they could: open fields, abandoned cars and occasionally a cheap motel room. The de facto leader of the group was Steven Hurd. The drifters continued to hang out together even after the apartment ceased to be their hang-out.The guys could usually be found near the intersection of Fairview Street and Trask Avenue in Santa Ana getting high, they called the area “The Block”. The cops had lots of questions for Montag, particularly about the days of the two murders.Timothy related what he could recall. 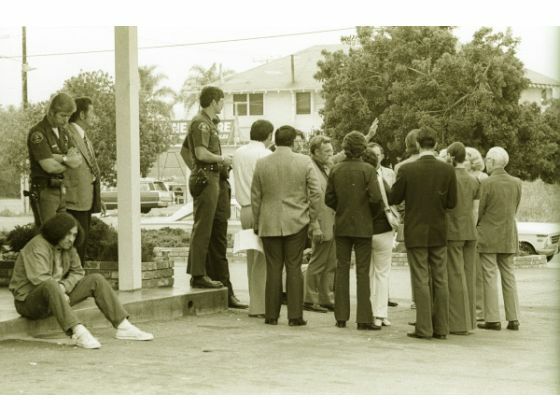 He said that one member of their group had a car and on June 1st, the night before Jerry Carlin was killed, he and others from “The Block” drove to a motel room in Costa Mesa to party. Montag spent the evening getting wasted and so he “was in no shape to remember anything” and crashed in the room. At 1:15 a.m. June 2, Jerry Carlin was bludgeoned to death with a hatchet — his killers stole $73 from the service station till. Later the next day members of the group piled into the car and headed south down the Santa Ana Freeway to Scotsman’s Cove, a beach between Corona del Mar and Laguna Beach. Police theorized that after Montag left a tow truck pushed the car onto Sand Canyon Ave where it was left abandoned on a side street. About 3 p.m. Florence Brown, driving her Pontiac station wagon, came down the Sand Canyon off-ramp from the northbound Santa Ana Freeway. She was only 200 yards from her destination, a PTA meeting. 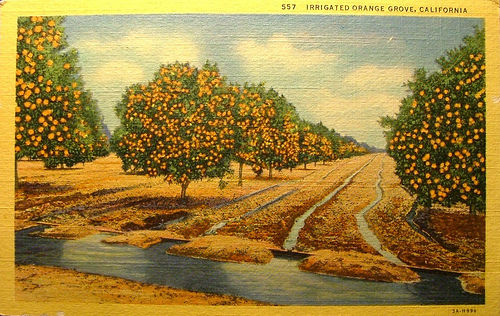 Her assailants forced their way into her car and made her drive a few miles west on Sand Canyon to an orange grove. It was there she was repeatedly stabbed by Steven Hurd. Following the slaying Steven Hurd, Christopher “Gypsy” Gibboney and Herman Taylor put Brown’s body into her station wagon,and then went back to pick up the rest of their gang of losers. The drifters then callously drove around with Brown’s body in the car. Upon investigation police thought it likely that the mutilation of Brown’s body occurred at the Riverside county burial site, and that it was Hurd who had removed the parts for use in a Satanic ritual. Brown’s heart and lungs had been cut out and her right arm had been severed. In addition, three ribs had been removed from her back and strips of flesh had been cut from her upper right leg. The body parts were never found and the cops feared the unthinkable, cannibalism. After burying Mrs. Brown’s body in a shallow grave the group, which included a drugged out waitress, Mrs. Melanie C. Daniels, 31, reassembled and drove north. Hurd wanted to see the man he called “the chief devil”. According to Hurd’s attorney Steven was not referring to the head of the Church of Satan, Anton LaVey. 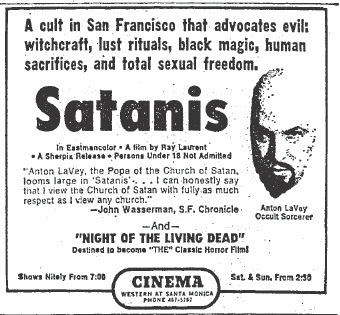 For his part, LaVey was dismissive of many of the so-called devil worshipers of the time and referred to them as: “kooks and creeps who are out of their minds on drugs.” Maybe LaVey wasn’t Hurd’s chief devil, but I can’t imagine Steven passing up an opportunity to see LaVey’s documentary film SATANIS, released in March 1970. The drive up north was particularly bizarre. Hurd was on a mission to visit with the chief devil, whoever he was, and Melanie Daniels wanted to visit a boyfriend of hers who was doing time in San Quentin. Daniels actually got as far as the gate of the prison where guards turned her away. The group drove Florence Brown’s car south again where they abandoned and then torched the station wagon in Los Gatos. 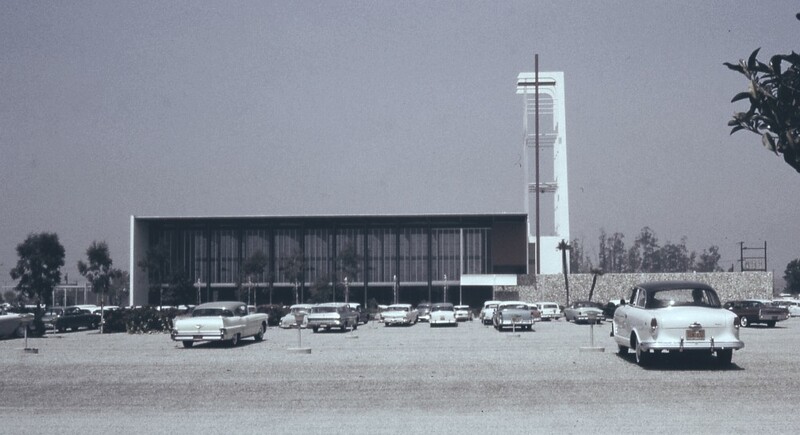 The drifters split up there, each hitchhiking back to Orange County where they were arrested. Because the band of drifters included three juveniles, Craig “Moose” Hulse (16), Herman Taylor (17), and Christopher “Gypsy” Gibboney, the Orange County D.A. had to decide if the young killers would be tried as adults. Another issue for the law was whether or not the criminals in the case were sane enough to stand trial. 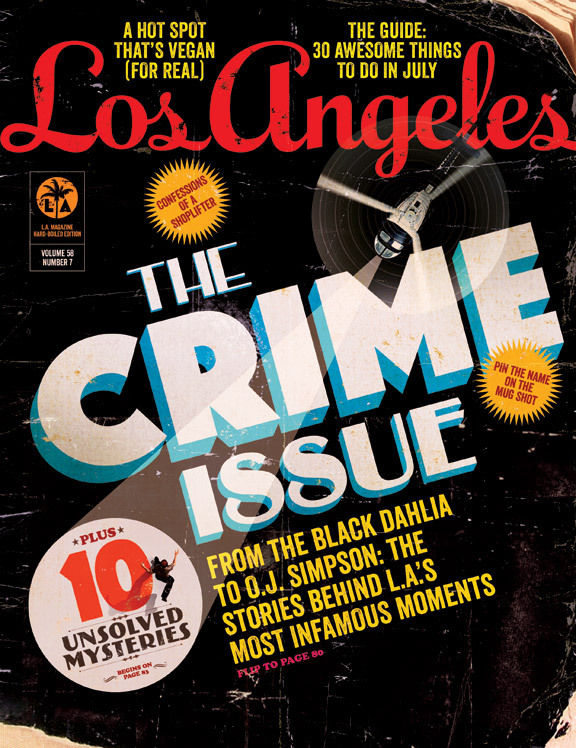 Los Angeles Magazine has added a crime page to its on-line content and Deranged L.A. 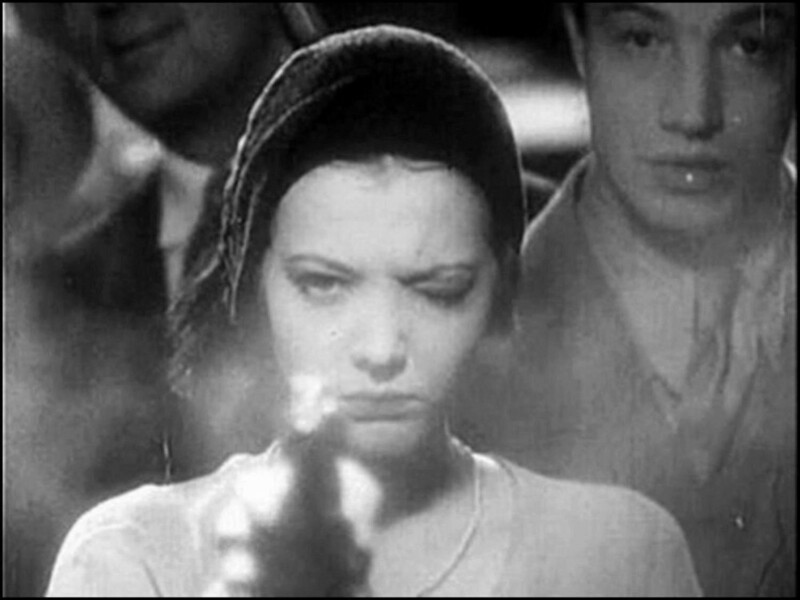 Crimes is pleased to be a contributor! To check it out click HERE. 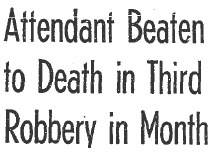 I’m researching some great new stories for the blog — including a trunk murder, so I’ll be back in a couple of days with more killer deranged crimes from historic Los Angeles.